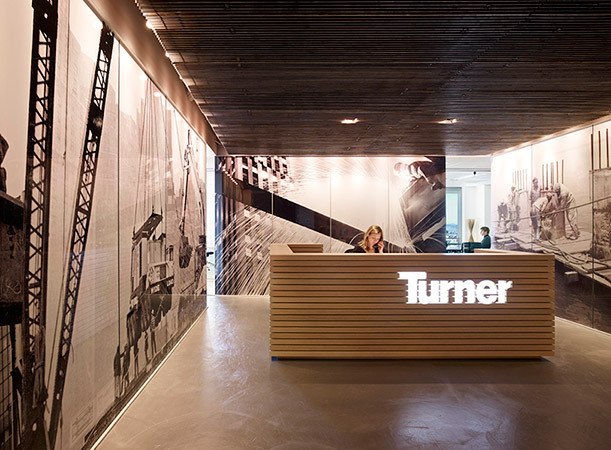 After 10 years of working in a four-level space, Turner Construction asked us to design a new, open, LEED certified office on a single level. 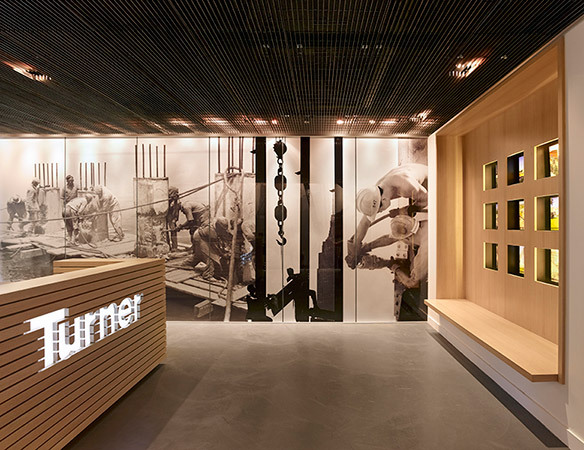 Turner’s hope was to create an efficiently organized, day-lit space that would improve internal communication and indoor environmental quality, and lead to higher productivity and greater job retention among its employees. 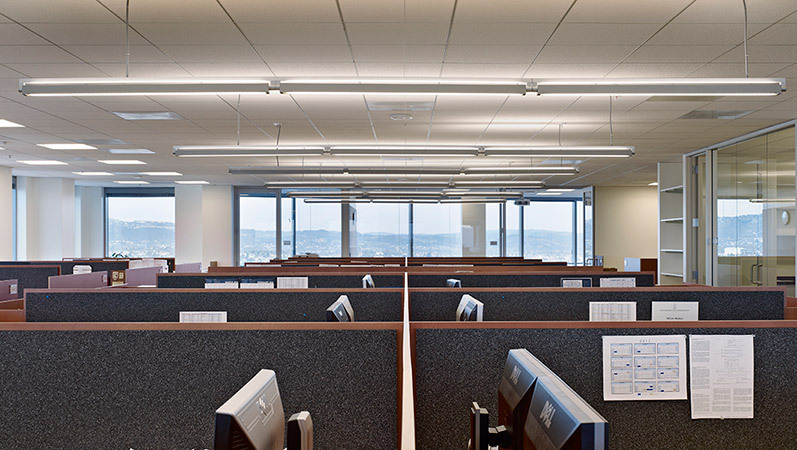 We responded by producing an efficient, open floor plan of 11,400 square feet in which perimeter offices are defined by floor to ceiling glass to maximize natural light and afford views of the surrounding Bay Area. Abundant day lighting, low-VOC materials, and certified sustainable custom plywood workstations all combine to create a healthful, warm and environmentally conscientious work environment.